Accomplished experts from across the education community. 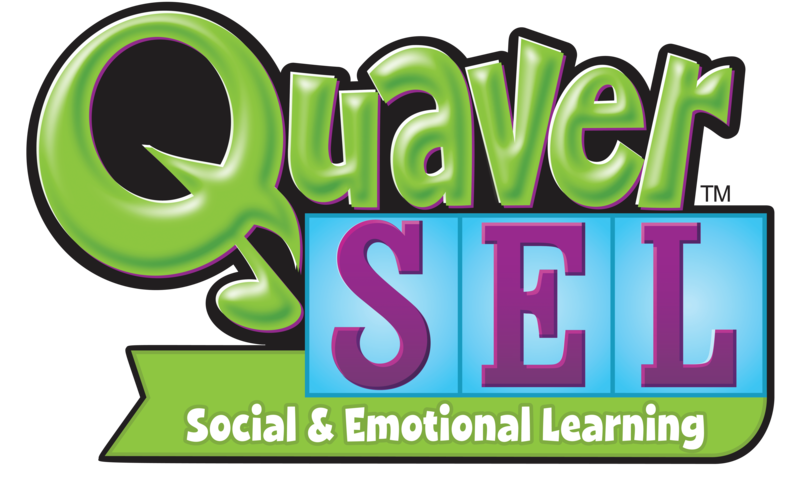 The highly qualified, dedicated Quaver staff creates and maintains our curriculum, all overseen by our content department. This department works extensively with accomplished educators from various all disciplines and with an Advisory Council of experts. We do not outsource curriculum writing to others, but work collaboratively with these experts to continually refine our offerings to educators on the front lines of education. Read on to find the names of content contributors and consultants involved in the creation and review of QSEL. During her 32-year career in public education, Dr. Shepherd has focused on helping students cope with emotional and behavioral issues, using music as a tool to strengthen those skills in many environments. She received her BA in Psychology and MA in Elementary Education from Austin College, followed by an MA in Music Education from Stephen F. Austin State University and a DMA in Music Education from Boston University. Today, Dr. Shepherd continues her work as Adjunct Professor of Music Education at Stephen F. Austin, Music Specialist at The Little School of Keystone in San Antonio, Texas. Co-founder of QuaverMusic.com, Graham heads up all content development and curriculum alignment as Vice President. He leads a team of teachers, developers, and artists to create engaging and innovative content for the PreK-8 music classroom. He also advises on the use of music in the K-5 classroom to address the development of Social and Emotional Learning competencies. An accomplished pianist, longtime music educator, and captivating clinician, Graham has a passion for igniting a love of music in the hearts and minds of young kids and is truly the heart and energetic force behind QuaverMusic. In her current role as school counselor, Lindsey Jackson provides individual counseling sessions, small group counseling sessions, and classroom SEL lessons to the students of Robertson County Schools in Middle Tennessee. She has over 11 years of experience in elementary and middle school settings where she’s focused her work on equipping students with appropriate coping skills and strategies to navigate varied emotions, teaching and modeling appropriate social skills, and preparing students to become kind and contributing citizens of their homes, schools, and communities. Lindsey has a BM and M.Ed from Middle Tennessee State University in Vocal/General Music Education and Professional Counseling with an emphasis in School Counseling respectively. She is also working towards her Ed.S. degree with an emphasis in Mental Health Practices in Schools (University of Missouri, expected graduation 2020). As a teacher coach and clinician, Sharon Cho works with educators of all subjects to use music effectively in their lessons. She is well-equipped to combine these fields with a Bachelors in Music Education from the University of Illinois and a Masters of Education from Lipscomb University in Educational, Curriculum, and Instructional Coaching. Sharon also has a personal interest in encouraging inclusion, diversity, and social and emotional learning in the classroom. She is a first-generation American, college graduate, and a product of public housing and schooling. Similarly, she focuses her research on music and Culturally Relevant Pedagogy to support students and teachers who identify with multi-cultures, but find it difficult to connect best practices for academic growth. Sharon comes from a diverse performance background, receiving a Grammy Certificate for her Background Vocalist role in Tajmo, a collaborative album by Taj Mahal and Keb’ Mo’. She’s also recorded lead vocals for two featured films and sang Background Vocals during the Nashville leg of the 2017 Hans Zimmer Live on Tour.